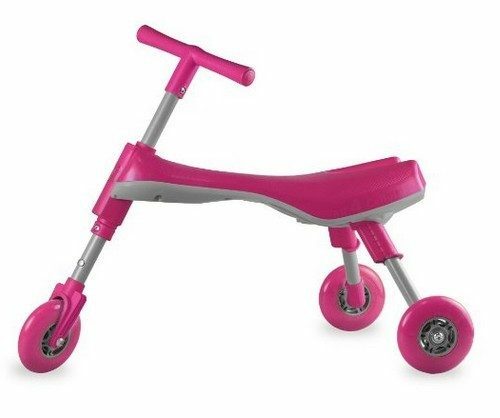 Fly Bike® Foldable Indoor/Outdoor Toddlers Glide Tricycles $39.99 + FREE shipping (Reg. $100)! You are here: Home / Great Deals / Amazon Deals / Fly Bike® Foldable Indoor/Outdoor Toddlers Glide Tricycles $39.99 + FREE shipping (Reg. $100)! I’m snagging one of these for my 2 year right now at this incredible low price!! 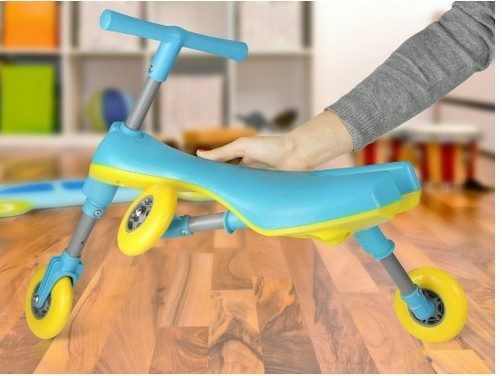 We can get this cool Fly Bike® Foldable Indoor/Outdoor Toddlers Glide Tricycle for ONLY $39.99 + FREE shipping (Reg. $100)! They have blue, red and pink to choose from. No assembly required to start using the Fly Bike. Just unfold, Stand it Upright and off they go! Exclusively Manufactured by Chromo Inc.® which is a registered U.S. Trademark.